Keto Frittata Recipe Low Carb Breakfast in a Pan – Very easy to make! This Keto Frittata Recipe is a nutritionally complete low carb breakfast in a pan. Our keto frittata recipe is not just low-carb but due to the eggs which are a low-carb superfood. It’s full of healthy fats, protein, and an unrivaled amino acid profile, truly the perfect low-carb keto breakfast. 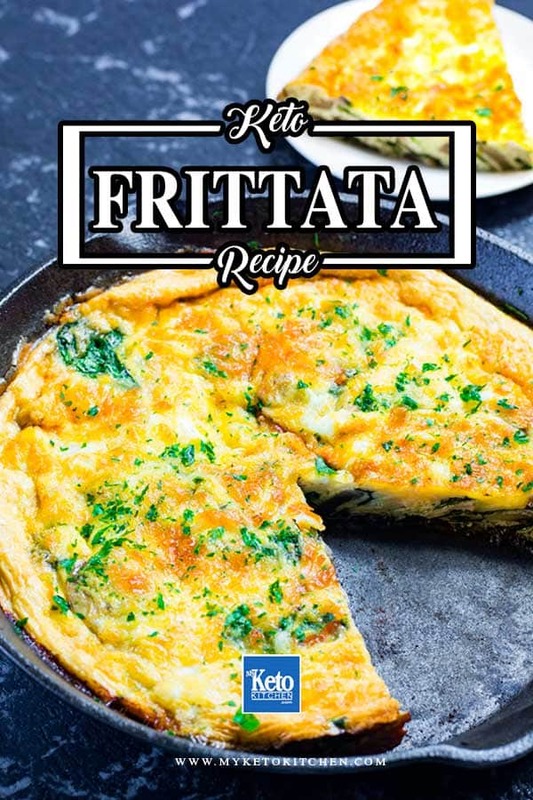 When making this Keto frittata recipe be sure to use a frying pan that can be used for baking (no plastic handles), a cast iron pan is perfect for this. 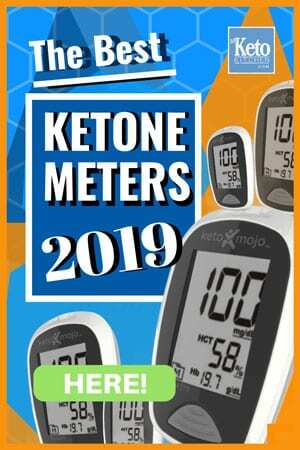 If you don’t have one you can make your keto frittata in a quiche dish or pie dish. Just place the low-carb ingredients into the dish after step 5. This keto breakfast recipe makes 4 serves. 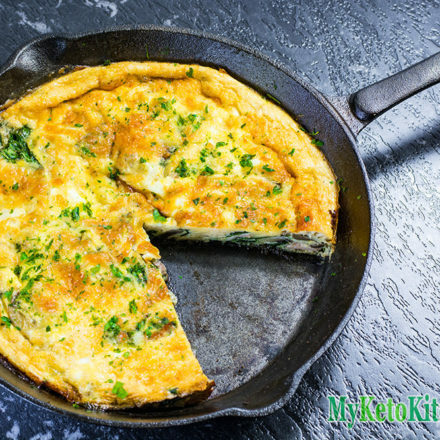 The keto frittata can be frozen and thawed overnight before reheating for breakfast in the oven or microwave. Sometimes smaller eggs muffins are easier to eat than a big old frittata, try our Cheese & Bacon Egg Muffins or our Spanish Chorizo & Manchego Cheese Egg Muffins. Place a cast iron frying pan over high heat. Dice the bacon and add to the pan. Saute for 4 minutes then add the butter. Add the mushrooms and saute for another 3 minutes. Add the spinach and cook for another 2 minutes, until it has just wilted. Turn off the heat. Sprinkle the cheddar over the sauteed ingredients. In a mixing bowl, add the eggs, cream, salt and pepper. Whisk until combined. Pour the egg mixture into the pan and place the pan into the oven. Bake for 20 minutes, or until the egg no longer jiggles. Remove from the oven, slice into 4 pieces and serve. You don’t have to stick to our ingredients you can use your imagination to make your own low-carb keto frittata. Do you love an “all-in-one” breakfast? 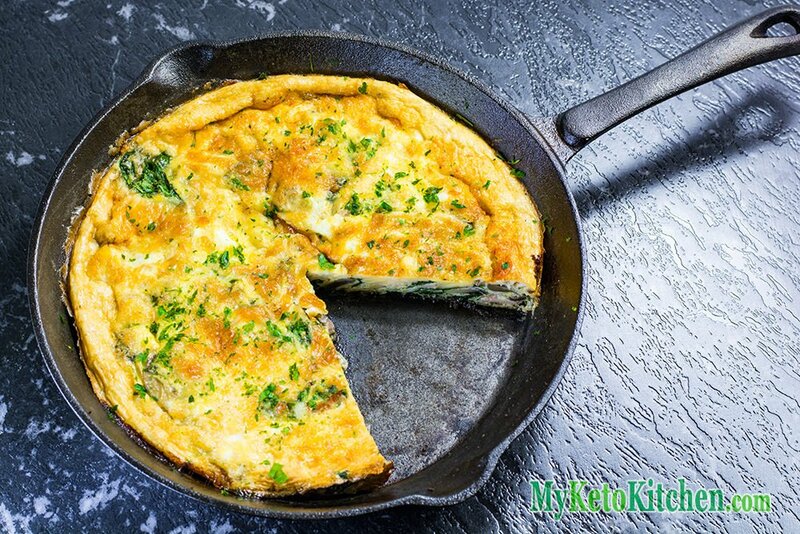 Try our tasty Keto Frittata recipe for breakfast, it’s so good you’ll be getting up early to enjoy it! Pour the egg mix into the pan and place the pan into the oven. To make this low-carb Keto Frittata recipe in a larger batch adjust the serving amounts in our recipe card above. What size iron skillet did you use? Did you just use button mushrooms or does it matter? Thanks. I prefer to use button mushrooms, but you can use whichever type you like. This frittata is SO good! I like to make it on a Sunday and have it for breakfast over the next four days. It’s a great portable option that I can heat up at work. It’s delicious with half an avocado. Wow, it looks like pizza and I love it so much. Wonderful recipe to eat.